Mission House has been the only answer for those affected by homelessness in the Jacksonville Beaches area for the past 20 years. Mission House needs your support to continue our services to those in need. We want to remain the leading resource at the Beach for years to come. Mission House has established a $1,000,000 Charitable Endowment Fund with Raymond James*. The Endowment was created to ensure the basic services of showers, meals and general operations are safeguarded into the future. Your gift to the Endowment will support our mission over the long term, especially when economic times are tough. This perpetual and sustaining fund will be vital to the financial stability and strong future of Mission House and ensure institutional permanence. A gift to the Mission House Endowment will give you the personal satisfaction of knowing you are transforming the lives of those in crisis well into the future. You will be ensuring the basic human needs of those who find themselves homeless are met with the services we provide such as meals, showers, and clothing. Mission House is a non-profit 501C(3), EIN #59-3376704 charity, all gifts to the Endowment are tax deductible. You may give a gift today through cash, check, stocks or bonds. If you would like to make a greater effort to support us, but are not currently in the position to do so, a bequest would allow you to distribute your assets to Mission House in the manner most appropriate to your circumstances. *Endowment is operated under the Raymond James Trust rules and regulations to ensure these funds are maintained as intended for the long term. 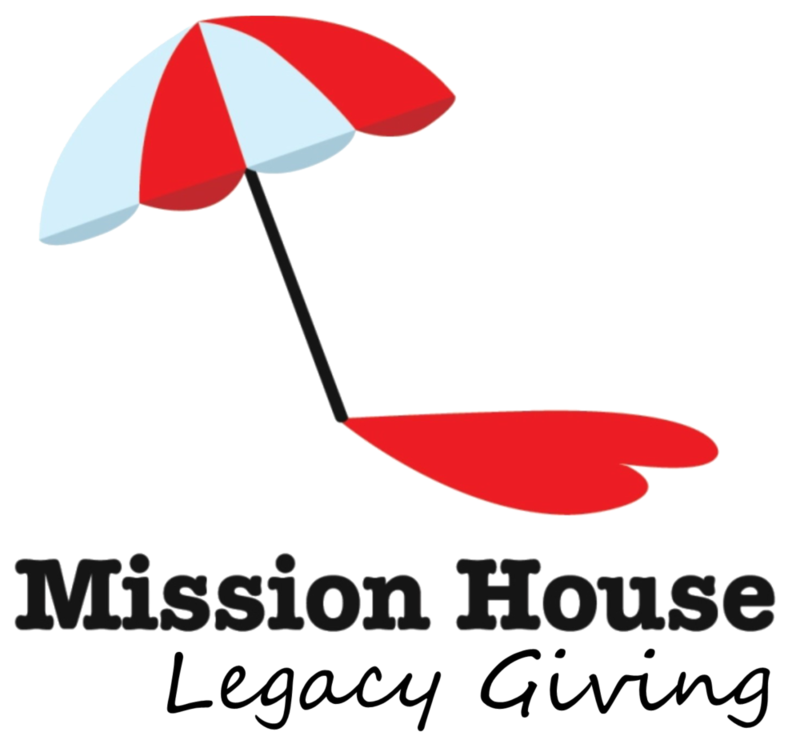 Giving a Legacy Gift to the Mission House Endowment from your will or trust is a very easy process. Ask your estate planning attorney or contact us regarding how to create your document. Bequests can be created to state a specific dollar amount, a percentage of the estate, or the residual part of the estate. Mission House can be included in your Living Trust. Mission House can be named as a beneficiary of a Life Insurance Policy, your IRA, 401K, 403B, or company retirement or profit sharing plan. You may wish to commemorate your gift in honor or in memory of someone in your life. If you already have a will or trust, a simple amendment to the existing document can be accomplished. No matter which option you choose to give to the Mission House Endowment, the impact you would be making is a legacy of your generosity to our mission. No matter which option you choose to give to the Mission House Endowment, the impact you would be making is a legacy of your generosity to our mission. A gift of $10,000 or more enables you to become a part of our Circle of Hope. The Circle of Hope is for donors who have given a current gift to the Mission House Endowment, have included the Endowmnet in their will or trust, or have named Mission House in a retirement plan or policy of $10,000 or more. Start your Endowment Gift today. Fill out the form below for more information.